How much will I get for the 1983 Mouton Cadet I found in my grandmother’s house? And can I sell two bottles of old ruby port that I found at the back of the garage? These are questions I am often asked. The answers are: nothing, and not unless you find a sucker on eBay. But if you have fine wine that has been properly stored, then it has never been easier to turn it into cash. This used to mean putting in a discreet call to your wine merchant – now it either means getting online or getting on to the pawnbroker. Yes – the pawnbroker, now moving into Château Cheval Blanc and Côte d’Or as more people in need of swift cash rootle through their cellar records and ask to secure loans against what you might call their liquid assets. 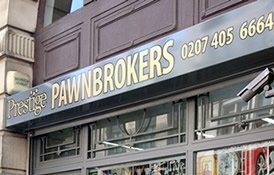 One of those is Prestige Pawnbrokers, whose headquarters are in Weybridge, Surrey, and who have opened a new office in Richmond and Manchester.